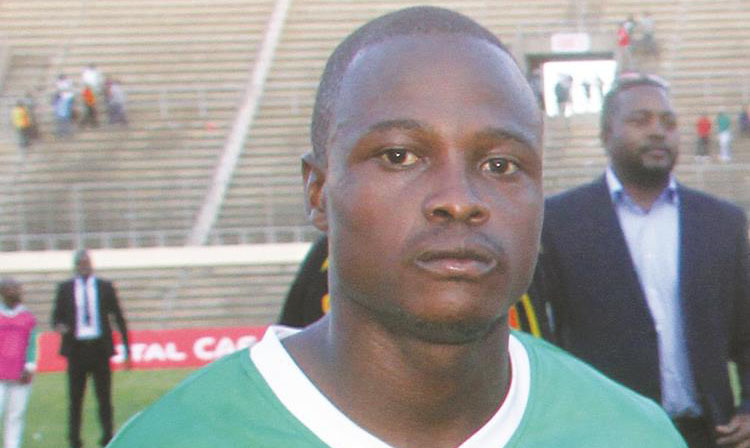 ZIMBABWE international forward Ronald “Rooney” Chitiyo’s gamble to join a debt-ridden Tunisian side — with a history of not honouring contracts of foreign players and not paying transfer fees for their services — backfired terribly when he was caught up in a web of deceit leading to the termination of his deal with the club. Chitiyo’s plight also exposes the agents who facilitated his deal, which collapsed in spectacular fashion recently when the diminutive forward decided not to return to Tunisia and instead chose to rejoin his old club CAPS United. The same Tunisian side, Club Sportif Sfaxien, had also signed another Zimbabwean, speedy forward Matthew Rusike, after luring him from his adventure in Europe in January last year, but the deal collapsed because of complications related to their failure to add to their playing staff because of a transfer ban imposed by world football governing body FIFA. Rusike was paraded as a CS Sfaxien player at a media conference, but the deal was soon cancelled and the Zimbabwean moved elsewhere. CS Sfaxien then turned to Chitiyo, after an impressive performance by the diminutive forward during CAPS United’s CAF Champions League run last year, in which he played a starring role in leading the Green Machine on an historic appearance in the group stages of the tournament and he moved to Tunisia in August last year. Tunisian football blogger Lofti Wada, who also sits on the CAF Awards Electoral College, revealed that the deal was worth $50 000, describing it as a bargain for such a highly-rated talent whose skills had illuminated the Champions League. However, Sfaxien, who have won eight league titles and three CAF Confederation Cup trophies, failed to pay even a cent for the transfer of the forward, who was supposed to start playing for them this month following the end of their transfer ban. Chitiyo then revealed he had decided against returning to Tunisia, as scheduled, last Friday because the club had failed to honour part of their bargain by paying the transfer fee which CAPS United demanded and which they agreed to, as per their contract. Reports also suggest that CS Sfaxien also didn’t pay Chitiyo what they promised him during his stay in that country, from August last year to date and the forward eventually decided to terminate the deal. That the challenges which Chitiyo faced come in the week that Chile international football star Alexis Sanchez completed a record-breaking English Premiership deal when he completed his switch from Arsenal to Manchester United, puts into context the huge differences between African and European football. Sanchez signed for Manchester United on Monday night for an English Premiership record of £350 000 (about US$487 700) after tax weekly wage on a four-and-a-half year deal. The Chilean smashed the wage structure at Manchester United and his new deal is a massive improvement from the £140 000 (about US$195 717) weekly wage he was getting at London giants Arsenal. His gross cumulative weekly earnings, including image rights, will be £600 000 (about US$836 069) a week before tax. He will earn a cool £1,4 million (about US$1,957 million) per month after tax and an eye-watering £16,8 million (about US$23,486 million) a year. He will pocket £50 000 (about US$69 884) per day, £2 083,32 (about US$2 911.79) per hour, £34,72 (about US$48,52) per minute and 57 pence (about 82 cents) every minute of his four-and-a-half year deal. Chitiyo joined eight-time Tunisian champions and four-time Caf Cup winners, Club Sportif Sfaxien, in August on a US$50 000 two-year deal from CAPS United and on Monday, exclusively told The Herald he had terminated the deal because of financial challenges at the club. The Tunisian giants, who have won three CAF Confederation Cup titles in 2007, 2008 and 2013, are reeling under a mountain of debt and failed to pay Makepekepe even a cent since Rooney arrived at the club. The Dutchman said it was all doom and gloom at Sfaxien. “I am still waiting for my Championship bonus. They have been saying they will pay it, but they are not paying it. I wanted to leave the club earlier, but we were still in the Confederation Cup and that was the reason that I stayed,” he said. “I spoke with the players and gave them my reasons why I resigned. We had an emotional meeting. I told the players we can be proud of what we achieved, especially with all the problems we faced — not being paid and having no bonuses. What had appeared to be a dream move by Chitiyo to Tunisia turned into a nightmare and those who were behind his move have now been left with a lot of egg on their faces as they didn’t conduct the due diligence needed before sending him there.